Lebovitz Law Group was founded on the principle that every injured victim deserves direct and continued access to an attorney, not just a paralegal or support staff. LLG is paving the way for higher standards in Personal Injury Law through a tailored approach to meet our client's needs. LLG prides itself on being trustworthy and dependable. At an incredibly difficult time for you, LLG will relieve the burden of navigating the legal process to recovery. We make sure you are treated fairly, and your injuries are taken seriously. Let Lebovitz Law Group fight the insurance companies, their adjusters and lawyers, while you focus on your recovery. 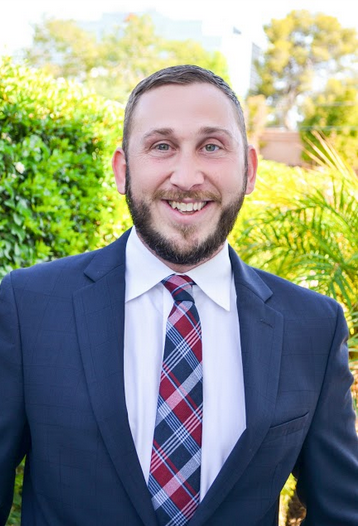 Beginning in 2014, Brandon discovered his passion for helping injured victims, ensuring that they are treated fairly, and their injuries are taken seriously. He is dedicated to fighting the insurance companies, their adjusters and lawyers, so his clients can focus on their recovery. He truly believes in the principle that every injured victim deserves direct and continued access to their attorney, not just a paralegal or support staff. Brandon is paving the way for higher standards in Personal Injury law through a tailored approach to meet his clients’ needs. Other charitable and non-profit involvement/events include: “Government to the People”, Montecito Community School Playground Project, Citizens' Police Academy Alumni of Scottsdale (CiPAAS), National Kidney Foundation, Susan G. Koman Race for the Cure, Coyotes Charities, Suns 88 Charities, Leukemia and Lymphoma Society, and Scottsdale Leadership, just to name a few!